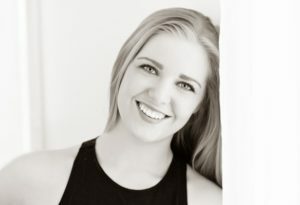 Jennifer Bonner is a 2016 graduate of the School of Contemporary Dancers Professional Program. She has had the privilege to work twice in Calgary with Dancer’s Studio West’s Professional Bridging Program under the mentorship of Davida Monk. Jennifer has also performed across country in Robert Desrosier’s 50 Dancer Project: Timeframe for CDF 2016 in Ottawa, and twice in Regina’s Fire and Ice festival. In the past she has performed works by Susie Burpee, Constance Cooke, Bill Evans, Odette Heyn, Gaile Petursson-Hiley, Jennifer Mascall, Roger Sinha, and many others. She has also had the honour to work with Stephanie Ballard and Dancers, and looks forward to her second year with WCD’s Verge. A 2017 graduate of The School of Contemporary Dancers Professional Program, Allison Brooks is excited to be a part of this year’s VERGE. In July, she danced with GPS Collective on a tour to Leon, Mexico, and worked with choreographer Meagan O’Shea in Newfoundland as part of Stand Up Dance: Pop up Dances for the World Dance Alliance Global Summit. She has also worked with Roger Sinha for NAfro’s Moving Inspirations Dance Festival. She will be working with Montréal choreographer Jason Martin as part of WCD’s spring show, and looks forward to working with Company Constance Cooke in 2018. 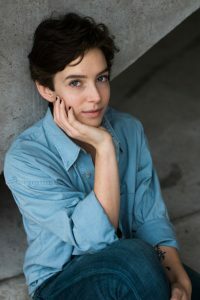 Shawn MacLaine graduated from the Professional Program of the School of Contemporary Dancers in 2017. In July, he performed with GPS Collective on a tour to Leon, Mexico, and worked with choreographer Meagan O’Shea in Newfoundland as part of Stand Up Dance: Pop up Dances for the World Dance Alliance Global Summit. In the past season, Shawn performed in a work by Marie-Josée Chartier with Gearshifting Performance Works. He is honoured to have a mentorship with Gearshifting Performance Works for the 2017-2018 season and looks forward to performing in Winnipeg’s Contemporary Dancers’ Verge. 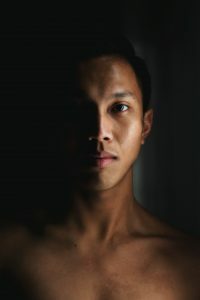 Trevor Pick is a graduate of the Professional Program of The School of Contemporary Dancers, and is originally from Edmonton, where he began his training at 18. He has performed works by Rachel Browne, Sidi Larbi Cherkaoui, Ming Hon, Brent Lott, Paul André Fortier, and many others. In July, he performed with GPS Collective on a tour to Leon, Mexico. In July 2017, Trevor was chosen as a dancer for the Banff Centre for the Arts’ Creative Gesture residency. He performed with Winnipeg’s Contemporary Dancers for the NAfro Dance Productions’ Moving Inspirations Festival in November. In June 2018, Trevor will take part in Mascall Dance’s BLOOM project in Vancouver. 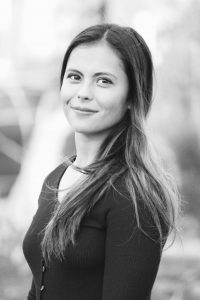 Ilse Torres Orozco graduated in 2017 from the Professional Program of the School of Contemporary Dancers and is Co- Director of GPS Dance Collective. 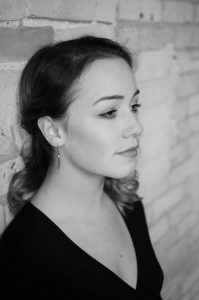 She has had the honour of working professionally with Gearshifting Performance Works, Stephanie Ballard and Dancers, Odette Heyn-Projects with the Winnipeg Symphony Orchestra, Winnipeg Contemporary Dancers Verge 2017 and with Colectivo 1.618 (Leon, Mexico). She was the artistic coordinator for the project “Creando Lazos a Través de la Danza” that was presented in León, Mexico in 2017 as part of the 150th Anniversary of Canada. During the 2017-2018 season, she will have upcoming projects with Gearshifting Performance Works and with Sinha Dance for the Nafro Festival. 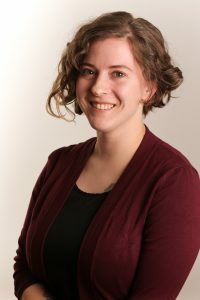 Kayla Jeanson is a filmmaker and dance artist who studied film at the University of Manitoba and modern dance at the School of Contemporary Dancers. Her films have been viewed at international film festivals such as Melbourne International Film Festival (Australia), Chicago International Movies and Music Festival (Illinois), and IndieCork (Cork, UK). She has created video for stage with Ming Hon, Peter Quanz, Tom Stroud, and numerous Fringe theatre productions. Arlo Reva is a 2008 graduate of the School of Contemporary Dancers Professional Program. She has studied at the Banff Centre’s Indigenous Dance Residency where she performed works by Javier Dzul and Neil Ieremia. 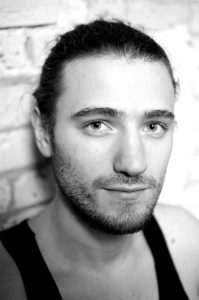 Arlo has worked with Santee Smith’s company Kaha:wi Dance Theatre in Toronto, New Mexico, Australia & Japan. 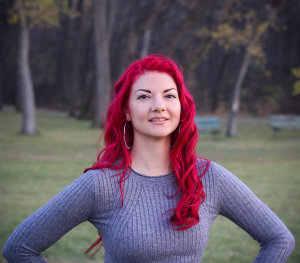 She has worked with Sandra Laronde’s company Red Sky Performance in Toronto, Banff, and Vancouver. 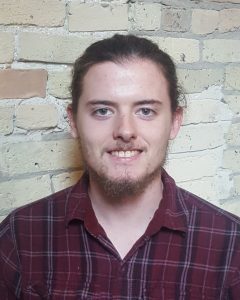 In Winnipeg, Arlo has worked with Stephanie Ballard, Gaile Petursson-Hiley, Odette Heyn, Peter Quanz, Tanya Lukin Linklater, Loa Olafson, Nina Patel, Jeff Dimitriou and Zorya Arrow. Arlo is a founding member of Winnipeg’s Drive Dance. Mark Dela Cruz is in his graduating year in the School of Contemporary Dancers. He has had the privilege of performing in professional projects with Drive Dance, Stephanie Ballard and Dancers, Gearshifting Performance Works. During this season, he has an apprenticeship with Winnipeg’s Contemporary Dancers for the Danielle Sturk project. He performed in Robert Desrosier’s 50 Dancer Project: Timeframe for CDF 2016 in Ottawa and anticipates returning to perform in CDF 2018. Mark created DWNSTRM which was performed at the MTYP for Losing Tides: A Watershed Awareness Gala, Blueprints, and for SCD’s Public School Tours. Mark is a Hip Hop Dance Instructor, Choreographer and Performer; projects he’s undertaken include BOSS Dance Company’s The Artist Within and NBS’s Sharing Dance Day. 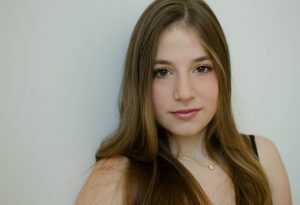 Emma Del Monte is in her graduating year in the Professional Program of the School of Contemporary Dancers. Emma has had the opportunity of working closely with Doug Letheren, Mikaila Wallace and Dario Dinuzzi. She has had the honour of working professionally with Stephanie Ballard and Dancers as well as Sinha Danse. In May, Emma will perform with the graduating dancers of the Professional Program of The School of Contemporary Dancers for the Canada Dance Festival 2018 at the National Arts Centre in Ottawa. She will also be working with Mascall Dance in Vancouver this summer. Emma is very excited to be a part of Winnipeg’s Contemporary Dancers’ Verge. Neilla Hawley is in her final year of the Professional Program at the School of Contemporary Dancers and will graduate with a BA Honours in Dance. In the fall of 2017, she performed with Sinha Danse for NAfro Dance Productions’ Moving Inspirations Dance Festival. She has also performed with Stephanie Ballard and Dancers ‘Landscape Dancing’ on several occasions. In May, Neilla will perform with the graduating dancers of the Professional Program of The School of Contemporary Dancers for the Canada Dance Festival 2018 at the National Arts Centre in Ottawa. She is honoured to be working with Ms. Ballard again in WCD’s Verge. Anna Protsiou is currently in the Fourth Year of the Professional Program of the School of Contemporary Dancers and will graduate this May with a Bachelor of Arts Honours in Dance. 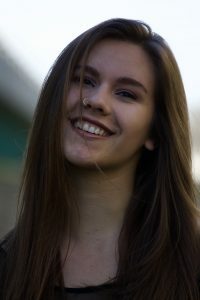 As well as working with multiple choreographers throughout the Program, Anna has also performed with Stephanie Ballard and Dancers ‘Landscape Dancing’. In May, Anna will perform with the graduating dancers of the Professional Program of The School of Contemporary Dancers for the Canada Dance Festival 2018 at the National Arts Centre in Ottawa. Anna is excited to perform in Winnipeg’s Contemporary Dancers Verge.